In his prime of life, which is to say the late '20s, the Reverend Gary Davis was one of the two most renowned practitioners of the East Coast school of ragtime guitar; 35 years later, despite two decades spent playing on the streets of Harlem in New York, he was still one of the giants in his field, playing before thousands of people at a time, and an inspiration to dozens of modern guitarist/singers including Bob Dylan, Taj Mahal, and Donovan; and Jorma Kaukonen, David Bromberg, and Ry Cooder, who studied with Davis. Davis was partially blind at birth, and lost what little sight he had before he was an adult. He was self-taught on the guitar, beginning at age six, and by the time he was in his 20s he had one of the most advanced guitar techniques of anyone in blues; his only peers among ragtime-based players were Blind Arthur Blake, Blind Lemon Jefferson, and Blind Willie Johnson. Davis himself was a major influence on Blind Boy Fuller. Davis' influences included gospel, marches, ragtime, jazz, and minstrel hokum, and he integrated them into a style that was his own. In 1911, when Davis was a still teenager, the family moved to Greenville, SC, and he fell under the influence of such local guitar virtuosi as Willie Walker, Sam Brooks, and Baby Brooks. Davis moved to Durham in the mid-'20s, by which time he was a full-time street musician. 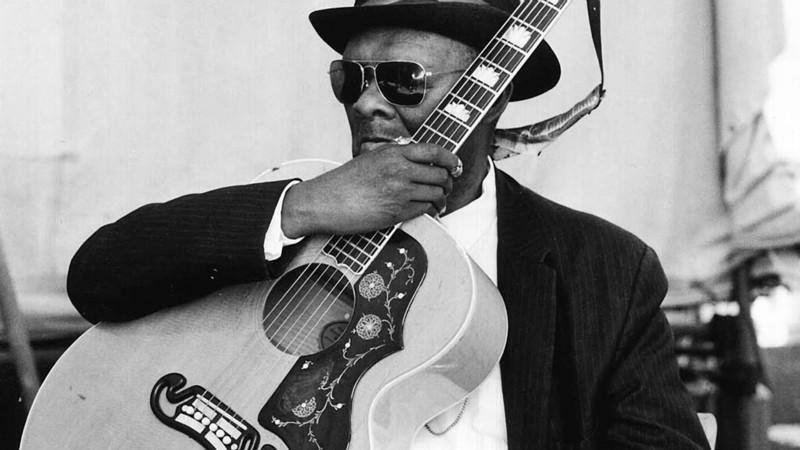 He was celebrated not only for the diversity of styles that his playing embraced, but also for his skills with the guitar, which were already virtually unmatched in the blues field. Davis went into the recording studio for the first time in the '30s with the backing of a local businessman. Davis cut a mixture of blues and spirituals for the American Record Company label, but there was never an equitable agreement about payment for the recordings, and following these sessions, it was 19 years before he entered the studio again. During that period, he went through many changes. Like many other street buskers, Davis always interspersed gospel songs amid his blues and ragtime numbers, to make it harder for the police to interrupt him. He began taking the gospel material more seriously, and in 1937 he became an ordained minister. After that, he usually refused to perform any blues. Davis moved to New York in the early '40s and began preaching and playing on street corners in Harlem. He recorded again at the end of the 1940s, with a pair of gospel songs, but it wasn't until the mid-'50s that a real following for his work began developing anew. His music, all of it now of a spiritual nature, began showing up on labels such as Stinson, Folkways, and Riverside, where he recorded seven songs in early 1956. Davis was "rediscovered" by the folk revival movement, and after some initial reticence, he agreed to perform as part of the budding folk music revival, appearing at the Newport Folk Festival, where his raspy voiced sung sermons; most notably his transcendent "Samson and Delilah (If I Had My Way)" -- a song most closely associated with Blind Willie Johnson -- and "Twelve Gates to the City," which were highlights of the proceedings for several years. He also recorded a live album for the Vanguard label at one such concert, as well as appearing on several Newport live anthology collections. He was also the subject of two television documentaries, one in 1967 and one in 1970. Davis became one of the most popular players on the folk revival and blues revival scenes, playing before large and enthusiastic audiences; most of the songs that he performed were spirituals, but they weren't that far removed from the blues that he'd recorded in the 1930s, and his guitar technique was intact. Davis' skills as a player, on the jumbo Gibson acoustic models that he favored, were undiminished, and he was a startling figure to hear, picking and strumming complicated rhythms and counter-melodies. Davis became a teacher during this period, and his students included some very prominent white guitar players, including David Bromberg and the Jefferson Airplane's Jorma Kaukonen (who later recorded Davis' "I'll Be Alright" on his acclaimed solo album Quah!). The Reverend Gary Davis left behind a fairly large body of modern (i.e. post-World War II) recordings, well into the 1960s, taking the revival of his career in his stride as a way of carrying the message of the gospel to a new generation. He even recorded anew some of his blues and ragtime standards in the studio, for the benefit of his students.